This is a rolling resource that has no affiliate links or commercial interest. 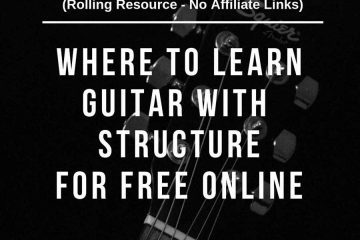 It is purely aimed at being as helpful as possible for those who want structure and want to learn guitar for free online. All Links Below Are To Free Content. So grab a coffee or your beverage of choice and let’s go through what your current options are. Search google for ‘learn guitar for free’, ‘best free guitar lessons’ , ‘free guitar lessons’ or ‘best free guitar course’ and you will find a host of different options but how free are they? Often when I clicked through I found that they were either a ‘professional review site’ (heavily affiliated) or courses that were free to a certain extent but then later charged you for teaching beyond the basics. These are all businesses and are all trying to make money and I’m not against that. However, what I want to find out in this day of rampant internet marketing is, what is genuine? what isn’t genuine? and what ‘value’ they offer in the elements that they provide for free. As an example, My own documented guitar journey is starting with the Justin Guitar Beginner Course and I will be buying a few products from him (not required) because I believe what he offers for free provides tremendous value. Justin’s course offers a clear path and structure when learning can be very important otherwise you can get distracted and lose motivation. 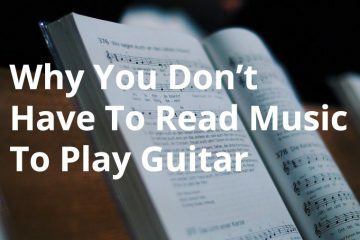 For example, if you only used YouTube to learn then it is very likely you will be jumping from one technique, one tip, one guitar teacher’s belief system or one song to another. Learning this way builds experience which is great but it is a fragmented learning process and can lead to distraction and not necessarily tackling the elements we need in order to grow. 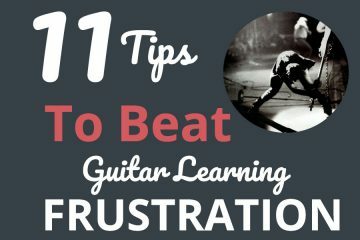 You may not know but 90% of guitarists quit in the first year and I don’t want to be part of those statistics so in this resource I am looking for a degree of structure to learning guitar, particularly when in the early stages of learning, and if you are reading this then I guess you do too. So let’s get started with the options. Marty is an awesome teacher, is hugely popular and his videos are easy to follow and are usually injected with some humour. He has over 1 million subscribers on YouTube and offers so much value to guitarists worldwide. If you visit his web site you can get free courses which will provide you with some structure. 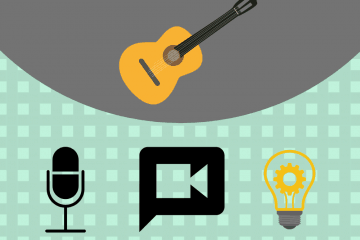 His beginner acoustic guitar course, however, costs money and I assume this is because it is probably the most common course that people are looking for so it is an easy sell, particularly when at the time of writing this it is only $36. Justin Sandercoe is a guitar teacher / performer originally from Tasmania, Australia now residing in the UK and has been running his YouTube channel since 2003 and has an extensive catalogue of resources for beginners right through to professional guitarists. He offers a beginners guitar course right through to an Advanced course that is completely free along with two apps unless you want to buy his additional apps and books which aren’t necessary. Although I would encourage you to buy one or some of these, or donate, because the resources he provides, in my opinion are excellent. I personally am following this programme and you can track my guitar journey progress here so you can see exactly what it is like to follow through it as a beginner. 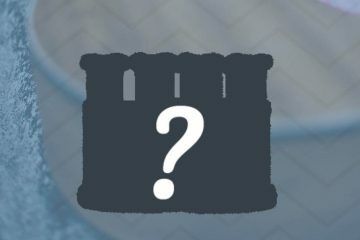 Justin’s website tracks your progress as you go so when you log back in you can take off from when you last were and you get to feel a sense of progression. Beginner Guitar Course – This provides us with 9 stages or ‘grades’ that take us through the beginner learning process. Each stage has between 9 and 12 lessons and there are currently two bonus modules, one for power chords and one for learning chords. The rest of the courses flow on from there and Justin has separate technique and scale exercise lessons. Justin’s site map shows you all the modules that are available and links to get you there, check it out here. Justin has a separate section on songs you can learn which are divided in to the different ‘grades’ or stages that accompany the modules you will be learning. Justin has a number of apps you can download and you can find them here. The two apps that are free within that mirror the Beginner Guitar Course. Justin Guitar Beginner Song Course – This app is a slightly modified (less content) than the course he has through his website and is very good. It comes with a free tuner and a song book that is interactive and follows the stages of the course. One Minute Changes (only available for iOS) – If you have followed any of the beginner course you will know that speeding up your chord changes is a big part of learning, this app is very useful. Justin has playlists in his YouTube channel that mirror a lot of the content that is available on his website. Although looking through it I wouldn’t recommend using it as a basis of structure. It would be more beneficial to follow his courses as the videos he has there are often accompanied by text and additional useful information. You can also login to his website also and track your progress. That being said if you want to see his playlists you can click here. Andy is a guitar player and instructor from the UK. He has been on YouTube for over 9 years and offers a lot of playlists on his channel that cover songs by some well known Artists and also styles and techniques for the developing player. He has a friendly, easy to follow style which comes with a wealth of experience and everything is explained clearly so its no wonder he has over 950,000 subscribers at time of writing. Free 10 Day Starter Course – It doesn’t last for 10 days, it actually free forever but the course aims to get you up and running in 10 days if you are an absolute beginner. It has one lesson a day. The Beginners Course – This has 7 Levels (+2 others) for you to complete and within each of these there is a total of 45 free lessons + many accompanying songs to suit the level. Each level however has between 1 and 3 lessons that you will have to pay for if you want access. The Strumming Course. – This has 13 free lessons with another 10 you will have to pay for. Improver Course – This has 3 free lessons with 9 you will have to pay for + many free songs for the level. Intermediate Courses – This only has a free introduction of 7 lessons. The other 7 levels which have 7 lessons each within them will have to be paid for if you want access. Lead Guitar With the Major Scale – This has 12 free lessons, none that have to be paid for. Rock Style – This has 3 sections and 9 free lessons at time of writing, one for Beginner (6 free), Improver (2 free)and (1)Intermediate. 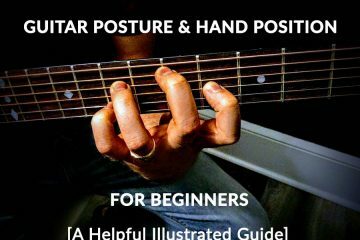 Fingerstyle – This has 5 sections, the rudiments of fingerstyle section is free as are the songs but the other sections have a lot of content that has to be paid for. Andy has a free app Android only at time of writing, where you have access to his free online guitar lessons and song tutorials and Beginner app and you can download them for offline use. Andy’s playlist structure on YouTube is certainly much better organised and better laid out that Justin Guitar’s. So if YouTube is your thing then you will find Andy’s structure helpful. Click here. Guitar Compass is part of Watch & Learn Inc which has been producing guitar lessons since 1982 under several different names. They now have a website and YouTube channel and make money through a monthly subscription basis. However they do have some free aspects and these are clearly separate from the paid (‘premium’) content so you don’t feel like you are being click baited or duped. The YouTube structure mimics the the website and unless you are going to sign up for some of their paid content you can choose to use either. Guitareo is part of a group of websites that includes Musora, Drumeo, Planote and Recordeo. They offer some free content but in the main they charge a monthly fee or Annual plan. Their website also doesn’t give you clear access to all of their free content. The list featured above can, from what I can see, also be found on their YouTube playlist here. 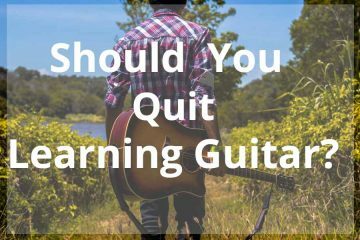 A lot of the free content Guitareo provides are tips and techniques which rather than structured learning which is likely kept for their ‘premium content’ which you will find if you sign up to their subscription. 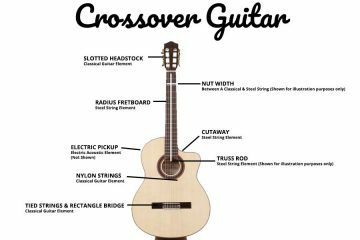 Guitarforbeginners.com has over 150 free lessons on its website and it is run by Kirk Lorange and his partner Clancy Mullins and they are based in Australia. All the lessons are free and the majority are aimed at intermediate players and onwards. There are over 150 free lessons and they are all available here. The lessons themselves come in a video format but also with a lot very helpful text. So if you are someone who likes both the visual experience and the addition of an excellent explanation in plain english then this will be perfect for you. Creative Guitar Studio is run by Andrew Wasson who also owns andrewwasson.com. Andrew is a Canadian and setup Creative Guitar Studio over 25 years ago after he graduated from the California Musicians Institute. Once you get over the fact the website looks like it was made in 1995 and delve a little deeper you will see there is some great content to be had. Both sites are dedicated to guitar and many lessons are free, from videos for beginners to those interested in ear training, music theory and improvisation. Many of the lessons come with pdf hand outs and excellent explanations on the lesson being taught. Andrew is a clear and concise teacher and has a lot of experience to pass on. If you create an account and log in you realise that the majority is paid content. Probably the best and most user friendly way to get access to Andrew’s free Video content is via YouTube (Written text accompaniment is better on his website). Your Guitar Sage is run by Erich Andreas who is a professional guitarist who has taught 100’s of students and has a few YouTube Channels and his own website. There is a lot of excellent paid content but also a great deal of free content. The majority of the content is paid, however you can 30 Free lessons here. One of the best ways to navigate his free content is on his blog because it lists all the free content by category in the side bar. Check it out here , There are many lessons from beginner through to advanced covering many different styles including blues and country for example. Erich has quite a few channels like Your Guitar Sage Guitar Lessons, the playlist can be found here. It isn’t that well organised but there is some very useful content. His channel with the most content is Your Guitar Sage, found here. So each song is broken down in to the intro, chorus and verse, and each of these has a separate video. In addition to this another video plays through the song with a rolling tablature on screen so you get to see that as he plays. Furthermore a list of chords and finger placements for them is provided via an illustration. This through presentation for each song is useful for grasping a strong understanding of each song. You can find his full playlists here. Guitar Zoom has two highly qualified instructors in Dan Denley and Steve Stine. They offer a ton of value in their paid content but they also offer some decent free content also. The website doesn’t off anything free initially. If you join (free to join) you get just over 20 free lessons but they aren’t anything more that what you could find elsewhere. So I wouldn’t recommend this unless you are intending to use their paid content. Rob Swift is a professional musician based in Philadelphia and has been playing music for over two decades. He has over 370,000 subscribers on YouTube at time of writing and is easy to listen to and has a relaxed style of teaching. Well worth checking out. His website doesn’t really offer any free content so the place to go to see what he has for you is YouTube. Guitar Lessons 365 is run by Carl Brown who is a professional guitarist and has been a professional guitar teacher for over 20 years. Carl has an affable nature which makes the lessons easy to absorb so his lessons are well worth checking out. The website structure is better organised than the playlist he has on YouTube for beginner guitarists looking for structure. Carl’s YouTube Channel Playlist doesn’t have the same structure as his Website, so I wouldn’t recommend it for structure here. There is great content in his YouTube channel but it currently isn’t organised in a way that can provide the structure I am looking for in this article. If you are still interested in look at the playlist anyway, here it is. Adrian has been playing guitar for over 30 years and he has built up a comprehensive resource on his website and YouTube. It is completely free, including the resources, and there is huge value here. His style of teaching is thorough and relaxed. I like the fact he doesn’t provide the obvious examples for songs and clearly some thought has gone in to the selection that he looks to teach. This makes it refreshing in comparison to many others. He currently has 90,000 + subscribers but I believe this doesn’t reflect the value that he provides and I’m sure this will grow in time. He also has one epic folk tune which I intend to learn in my journey which is ‘Anji’ by Davy Graham, which he goes through here in this excellent 25 minute tuition video. A professional guitarist with a wealth of experience, Brett Papa known as ‘Papastache’ provides some great content for helping you develop. It isn’t really in a structured learning format but it still can help you. The main focus is electric guitar, so if this is your bag then check it out. Lee is a self-taught guitarist and has over 20 years experience, he is based in West Berkshire, UK. He sings and writes his own songs and has an ecclectic mix of content,. He has played in bands for many years and also offers private tuition. He provides great content and explains things well. The majority of what he provides is on acoustic guitar but there is also a decent amount on electric. Lee’s website is located here and whilst all his video content is on Youtube only, there is a resource here that offers some tabs for his song tutorials here. This is where all Lee’s content is and his playlists are split into useful buckets that can provide some structure for learning. 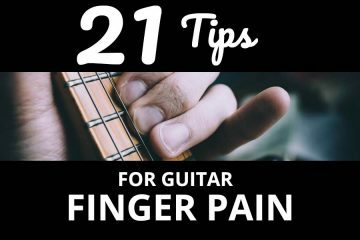 His videos often overlay tablature also so this helps when getting to grips (excuse the loose pun) with finger placement. 10 Easy Songs No Chords! Let’s Play Guitar has over 1.2 million subscribers at time of writing, so is hugely popular. All the lessons are on Acoustic Guitar and are all the videos are shot just looking at the sound hole and fretboard so you get to see hand / finger movement and finger placement / movement. Guitar Zero 2 Hero is run by Melbourne based Australian, Dave Tran who has over 300,000 subscribers on his Youtube Channel. His Teaching is mainly around song tutorials but because they offer so much value I have included them here. Most of his content is based on song tutorials and reading his website this is how he learned the majority of his guitar and is what lit his fire when he first started. The website is well presented and has a great layout, there is premium content available which will cost but there is also some great free content. 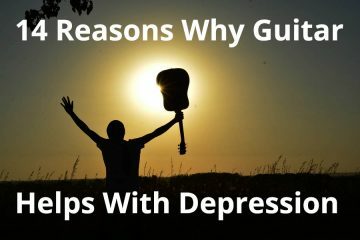 Just by signing up for free you get a free guitar chord and song writing book which is 42 pages long has some excellent content. Dave has a whole host of song tutorials on his YouTube channel and in my opinion the format of them is the best. They have an overlay of tablature and a digital fretboard synchronized with Dave’s finger placement whilst playing the song in addition with a strumming pattern. This proves excellent when you need to slow down a song or pause it to really understand it and take it at your own pace. Each of us is likely to have differing opinions on who is best but what it comes down to is who do you feel is the best fit for you because consistency when you first start is key. The majority of the content listed here is very useful but not all the teaching builds on itself, so you don’t always get a linear structure to your learning. If you are an absolute beginner, then hands down the best course is the Justin Guitar Beginner course, it is structured, each lesson builds on the other, you get to track your progress through his website and he has a huge list of songs to accompany each level that he provides. Second to that would be Andy Guitar, he has plenty of courses to get your guitar teeth stuck into, and whilst not as comprehensive as the Justin Guitar course it still provides bucket loads of value and decent structure to start you off on the right foot. If you are past the beginner stage, there is no reason you cant stick with Justin Guitar. However I believe at this stage you would have built a solid habit and the fragmented nature of learning on the internet won’t put you off as it would if you were just starting. So I would suggest getting your teeth stuck in to some of the mini courses on offer above and developing your song book. After all, learning to play songs that you love will fuel your fire and help you overcome any learning obstacles. For Song tutorials I would recommend GuitarZero2Hero. The clarity of the recordings along with overlay of tablature and synchronised digital fretboard are excellent, particularly when you have to slow down a song or pause it to understand each part. This combined with Dave’s easy to digest teaching style are excellent for learning songs in my opinion. Sometimes you want to give up the guitar, you’ll hate theguitar. But if you stick with it, you’re gonna be rewarded. Whatever you do, enjoy the journey. If you want to see my own guitar journey from beginner onward (I release a video every week as I go) then head on over to my YouTube Channel Midlife Guitar. There I document my development and you can see hands on, the frustrations and wins and losses I get along the way. Know anywhere that is free and offers good structure and has not been mentioned here? 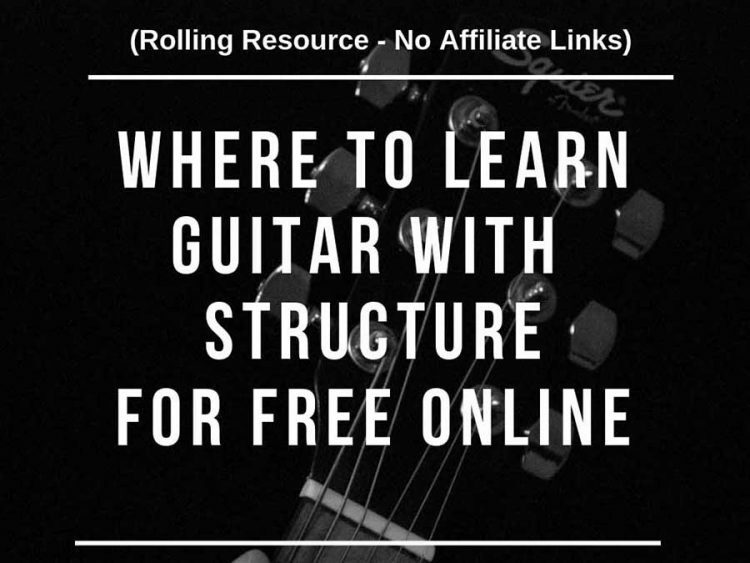 If you know of anywhere that you believe offers structure and great value to the developing guitar player please let me know in the comments below, so we can grow this resource for everybody.